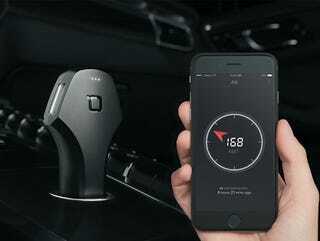 The Zus Smart Car Charger & Locator charges any USB device at 2x normal speed, and acts as a homing device for finding your car where you last left it. It has 4.5 stars on Amazon, where it’s a #1 best seller. Right now, Kotaku readers can get one shipped for just $29.99 - 40% off MSRP, and the lowest price you’ll find. It normally runs for around $50, but for a limited time, Kotaku readers can pick one up for 40% off MSRP - just $29.99 - with free shipping. It’ll take 1-2 weeks to arrive, and makes for the perfect gift, so pick one up for yourself and someone on your list today.